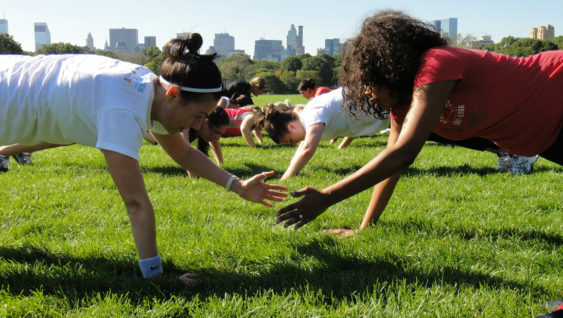 Get fit with Fitbit Local, a series of free monthly workouts in San Francisco (and cities around the country) led by fitness leaders from your community. They’ll have a challenging workout ready for you to join and often have fun activities like prize giveaways, healthy snacks, DJs and more. Check each event for details. Sweat it out with Fitbit Local, a monthly series of free workouts hosted by fitness leaders from your community. Fitbit Local Ambassadors Caroline Jordan and Buddy Macuha will help boost your energy and get a great workout in before the Labor Day holiday. Meet at Huntington Park and get ready to step, squat and sweat. Bring a friend and have fun. All fitness levels are welcome. Plus, stick around afterward for your chance to win a Fitbit tracker of your own. Free, but an RSVP is required.